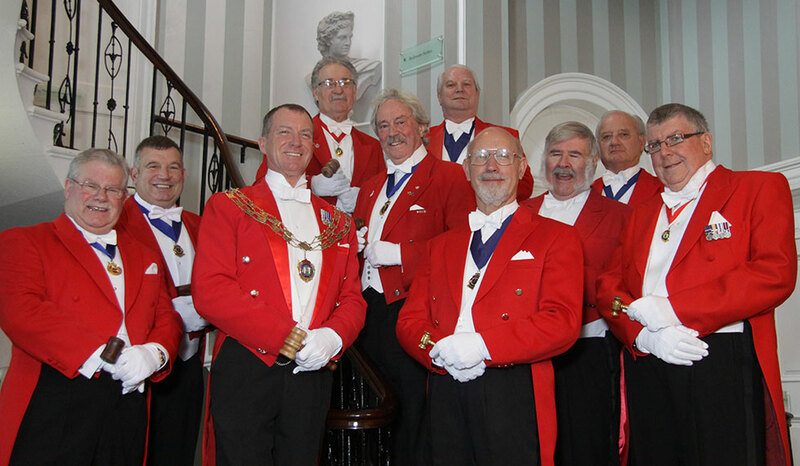 ﻿ Members of The Toastmaster Partnership. Professional Toastmasters and MCs. Having officiated as Toastmaster/Master of Ceremonies at over 3,500 functions must be one of the most experienced Toastmasters in the Country with expertise covering all aspects of the Toastmasters profession. Brian has 20 years experience in the many aspects of Compèring and as a Master of Ceremonies at weddings, dinner/dances, business lunches, embassy events, sporting and charity dinners, both large and small. 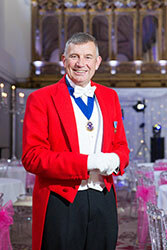 He aims to facilitate events so that the hosts and guests may enjoy their day, knowing the organisation is in safe hands. 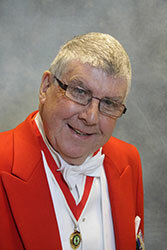 He is also the official Town Crier of Newbury. An experienced Toastmaster/Master of Ceremonies having officiated at many different kinds of events from large corporate events to small intimate family functions and weddings of many different religions, beliefs and cultures. Over 25 years experience on the after dinner circuit and a multitude of weddings - whatever the event I will tailor my involvement to suit you with professionalism and a smile. 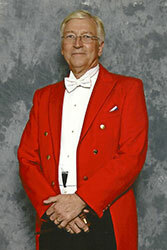 Graham has officiated at many types of function and events including occasions when Royalty has been present. He has worked with many well known personalities from the world of politics, entertainment, film and television, who expect a high standard of professionalism. 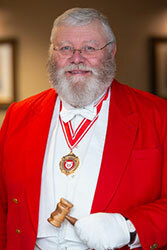 Graham is also a Freeman of the City of London. 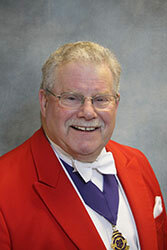 An experienced Toastmaster/ Master of Ceremonies. Working for many different clients and venues over a wide area. Experienced and proficient practitioner repeatedly engaged to officiate at functions ranging from small intimate gatherings to large corporate occasions. His passion is making your event run as you want it to. British Boxing Board of Control Licensed Master of Ceremonies. 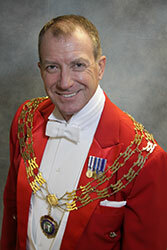 Active as a Toastmaster for many years and although nowadays works mainly across the whole of Wales, has worked in France, Australia and the Republic of Ireland. If required can also officiate in Welsh. He sees his basic role as ensuring that everyone is in the right place at the right time and to keep everyone informed as to what is happening and when. 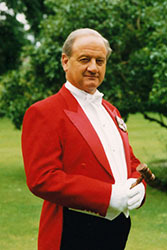 Having had a glittering career culminating in him being Bandmaster for The Central Band of the RAF, John went to Oman as Director of Music to the Band of the Royal Guard for the Sultan of Oman. 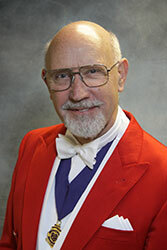 After five years he returned to the UK and decided to become a Toastmaster. His musical experience stood him in good stead, and for the last twenty years he has been in great demand with Weddings and Ladies Festivals being a speciality. Peter was trained by the London Guild of Toastmasters in 2006 and has been working consistently since then at Weddings, Ladies Festivals, Dinners etc. at a variety of venues across the South of England. 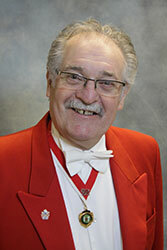 He has also delivered illustrated talks to a number of local groups, raising money for local Charities. His subjects include ‘The Secret Life of a Toastmaster’ and ‘Montacute House, a brief history’, as he works at the National Trust property on a voluntary basis. 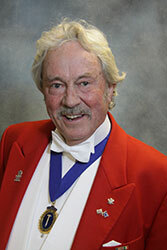 Past President of the Association of the UK School of Professional Toastmasters. In his international management career, he organised and conducted many events in Europe and the Far East. With a style, endorsed by an extensive portfolio garnered from a wide variety of engagements, Denis ensures enjoyable, happy, successful occasions with the highest standard of expertise, formalities, skilled organisation and effective communication.